In September 2017, the Jane Bradley Pettit Foundation approved a grant of $5,000 to support the Bread of Healing Clinic’s Oral Health Program. The Oral Health Program was started in 2011 due to the lack of accessible and affordable dental services for low-income adults and the overwhelming need of our patients. Many of our patients had not seen a dentist in 15+ years. Research indicates that low-income adults are three times more likely to have untreated tooth decay as higher income adults. Bread of Healing Clinic staff providing dental services to a patient. With support from the community, including the Pettit Foundation, Bread of Healing Clinic initiated oral health services with volunteers. Over time, this sustainable model of care includes part-time staff (dentists, hygienists, dental assistant and coordinator), volunteers, and partnerships with dental practices to provide low-cost restorative care. Each year more than 400 individuals receive education, hygiene exams, cleaning, and treatment. Our goal is to assist all adults with treatment and restorative care as well as education and support to help them maintain full oral health. Since starting this project, the results have been amazing. 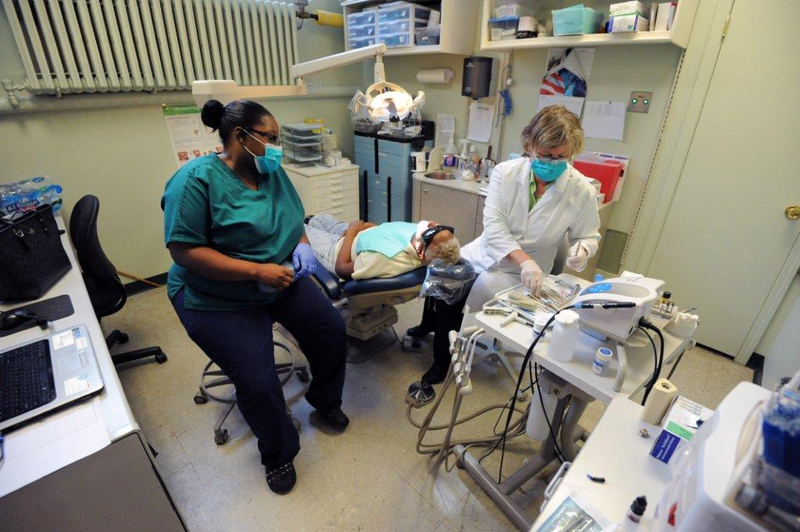 The support of the Jane B. Pettit Foundation makes a difference in the lives of low-income adults who are now experiencing dental health for the first time in their adult lives! "I’ve been going to the Bread of Healing Clinic since January and they were treating me for high blood pressure and diabetes. Once I saw that the clinic had a dental office, I just knew I had to get a referral to see the dentist. The dental staff welcomed me with open hands. I knew that my mouth wasn’t in the best of conditions. I had some broken teeth and some cavities. They got me in within two weeks, and at that time I had four extractions and fillings done. Once all my work was completed I was given the option to make a payment to get a lower partial and an upper partial. They put me on a payment plan and now I have the smile I always wanted. I thank them all the time when I go to the clinic and I really wouldn’t have this smile without their services."